This recipe comes from the lovely Emma Warren, author of The Catalan Kitchen, a book that celebrates the food of Spain where Emma has spent many years. 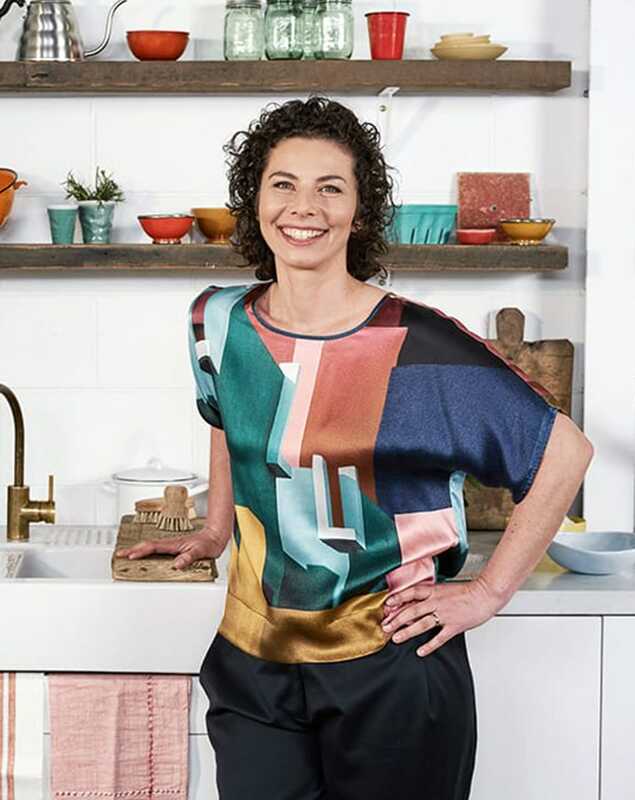 Emma is a beautiful cook and a lovely person – she helped me with recipe development for my Entertaining cookbook, and she’s been on board as a stylist and food assistant on various projects for me, but also for Karen Martini, Matt Preston and many others. She’s a gun! 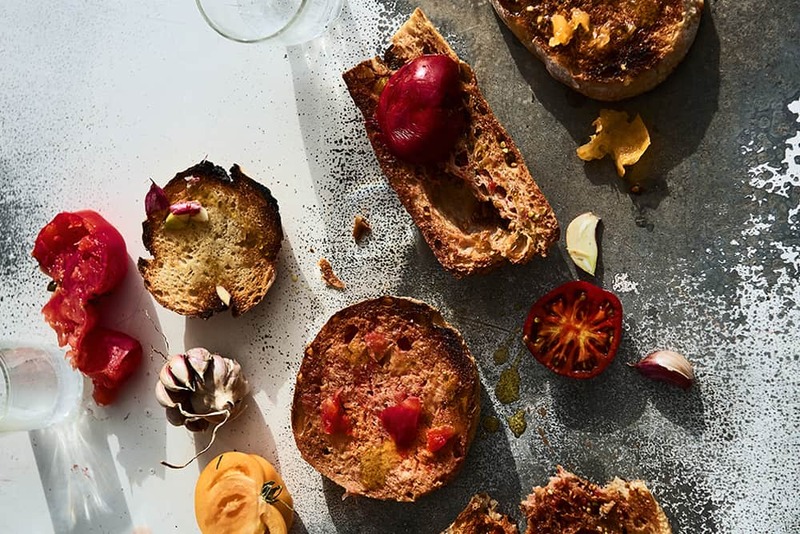 As Emma says of Bread WITH tomato, “This sacred national dish is a major part of the Catalan identity and relies completely on the quality of all five ingredients. It is the simplest yet most fussed-over dish in Catalan cuisine. Served with almost every meal, many a heated discussion can lead to stern disagreements after debating intricacies, such as the best tomatoes or oil to use, or which order you must follow to create the most perfect result. “As with most longstanding traditional Mediterranean cuisines and dishes, the stayers are usually those born from a need to limit waste and deal with excess. Like gazpacho, ‘pa amb tomàquet’ is a way to use up excess bread, rehydrated and back on the table to fill and nourish the family. Catalunya (or Catalonia) is the part of north-eastern Spain that includes Barcelona and the Costa Brava. Seafood, olive oil, bread and all sorts of vegetables are the basis of this rich and storied regional cuisine. 1. Toast, grill or barbecue the bread slowly to dry it out and harden it slightly. Gently rub the garlic clove over each slice – the abrasiveness of the toasted bread will cut the garlic across its surface. 2. Firmly squash the tomato onto the bread, cut side down, and squeeze as you rub to release the juice and flesh. 3. Drizzle with olive oil, sprinkle evenly with salt and bon profiti!